INCA Internet's Emergency Response Team's official blog. : New Trojan "ADRD" for Android mobile has appeared. New Trojan "ADRD" for Android mobile has appeared. Recently, one security blog reported about mobile trojan for Android. This Trojan injects malicious code to perform malicious behavior on normal application. In this case, users who frequently download application via black market can be easily infected by this malicious application. It, spread via black market, aimed at Dandelion Live Wallpaper and tries to inject malicious code for tampering. This malicious application is named "ADRD", and has no execution icon. This malicious application has same Wallpaper display as normal application. Following figures are showing differences between normal and malicious application. We don't need to let you know which one is for malicious. Malicious application is always requiring a lot of grants. And the size is also little bit different between normal and malicious app. 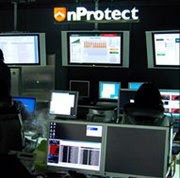 INCA Internet (Security Response Center / Emergency Response Team) provides diagnosis/treatment function with nProtect Mobile for Android for detecting such as malicious file stated above and runs responding system against various security threats. Family locator app uses a passive mode when tracking information and wakes up when there is a change in location. The application does run in the background uses very little data or bandwidth, look geozilla-family-locator-app iphone to find more. No ifs ands or buts, if your PC was running consummately two days ago or even yesterday and is dragging today, then the in all probability cause is a noxious or destructive disease. By the day's end you are the proprietor of your framework and it's dependent upon you to keep noxious projects from entering your framework. Such hurtful programming can erase everything from your hard drive and abandon you with next to nothing. تعد تسربات المياه من أخطر المشاكل التى تهدد سلامه المبانى لذلك على الجميع الاهتمام بها و تصليح أعطالها بسرعة و بمجرد حدوثها تسربات المياه فالأمر غاية في الأهمية ولا يحتمل التأخير نظرا لما يتضمنه من مشكلات و ما يتسبب فيه من أضرار فأضرار تسربات المياه تعد من الأكثر خطرا على سلامة المباني الأمر ليس بسيطا وليس هو مجرد قشور الدهان التي قد تجدها بل أنه أعمق و أخطر من ذلك بكثير. لذا يتطلب كشف تسربات المياه بالدمام بسرعة فائقة و إيجاد الحل المناسب..